Made from a host of all-natural beauty essentials the Weleda Wild Rose Smoothing Facial Lotion protects against dryness and promotes a radiant complexion. This deep-nourishing cream prevents the premature appearance of aging and leaves the skin feeling soft. Containing organic musk rose oil and organic rose wax, the Weleda Wild Rose Smoothing Facial Lotion protects the skin from dryness and provides long-lasting skin hydration. The organic cocktail of precious jojoba oil and nourishing plant extracts ensure your skin is kept fully moisturised and feeling fresh. 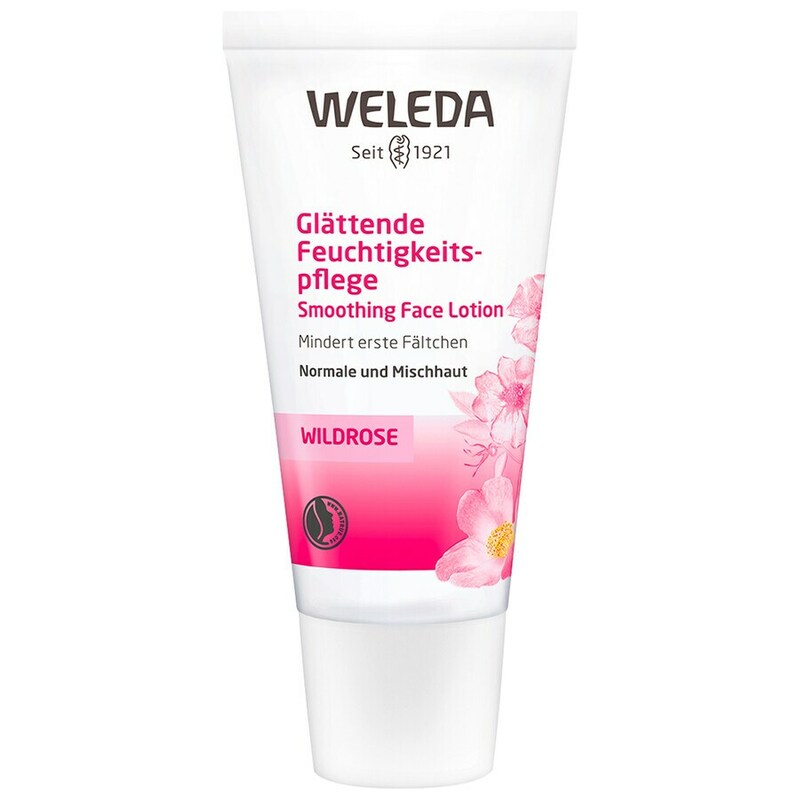 Directions for use: After cleansing apply Weleda Wild Rose Smoothing Facial Lotion sparingly and evenly over the face and neck, gently massaging in. Apply only as much as the skin can readily absorb. Wild Rose Smoothing Facial Lotion is also ideal as a base for make-up.